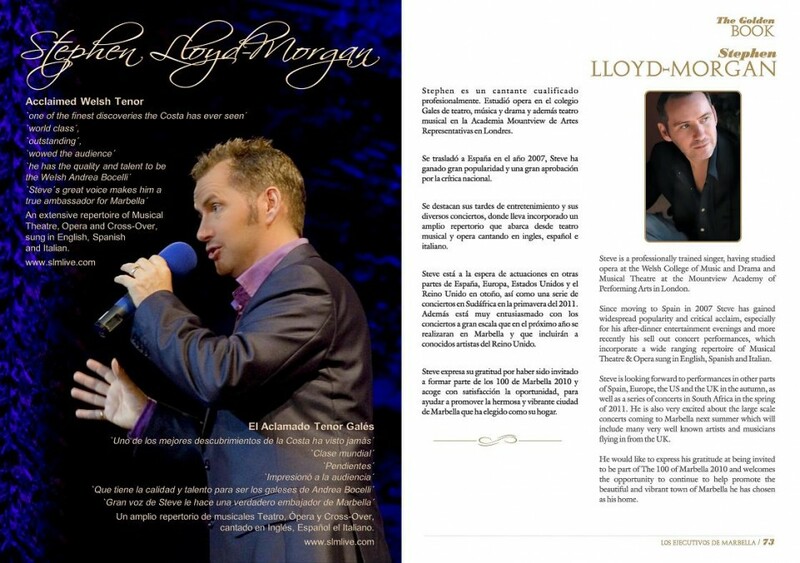 Marbella Tenor Stephen Lloyd-Morgan in “The 100 of Marbella” | Marbella Marbella – Adelante! 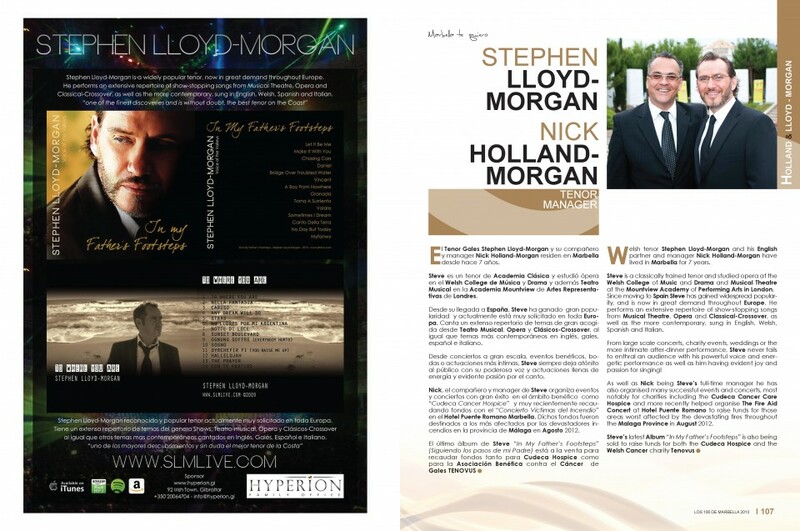 Marbella Tenor Stephen Lloyd-Morgan and his partner and manager Nick Holland-Morgan have been invited to be included in the special 15th Anniversary Edition of “The 100 of Marbella” which celebrates the individuals, entrepreneurs, professionals, businessmen and women who have contributed to the growth, development and positive reputation of the town. 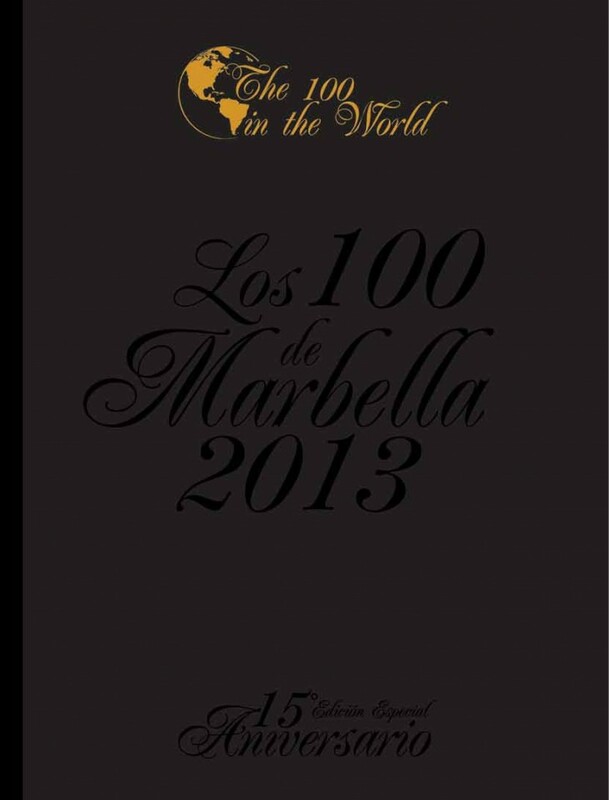 “It is a great privilege to be invited to be included in The 100 of Marbella. It’s fantastic to be acknowledged for the work we do, not just for the many concerts and performances we are involved with but especially for our fundraising for charity” Nick said. 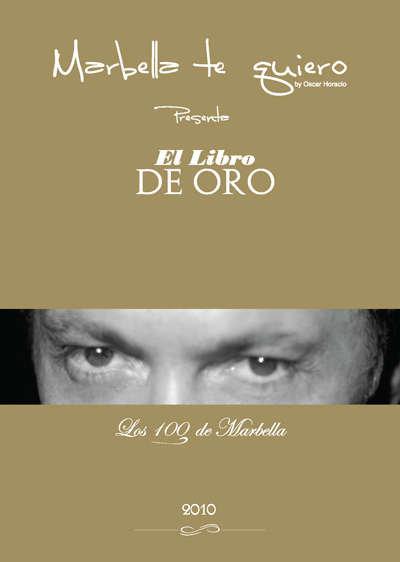 Steve also sang at the Gala dinner presentation of The 100 of Marbella 2013 15th Anniversary Edition on 14th December 2012. Check out some very familiar faces from back in 1997! 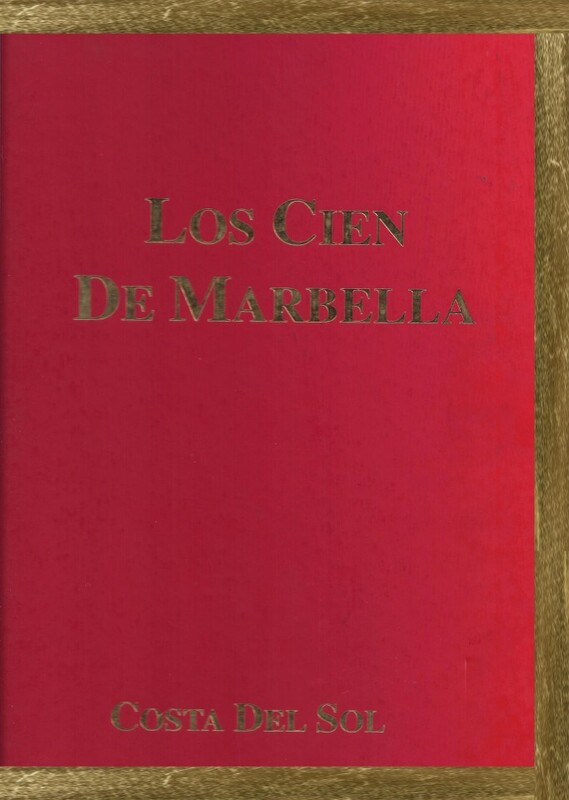 Marbella Marbella – Adelante and Christopher Stone!